Does your baby behave like a little angel? Is she sugar & spice and everything nice? 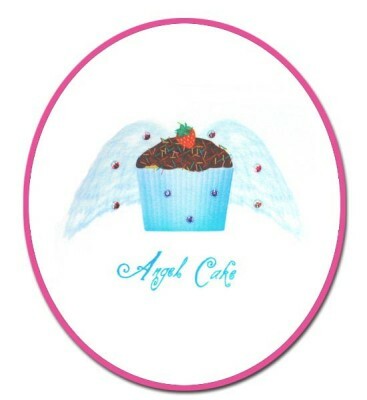 Have her spread her wings with a "slice" of Angel Cake. 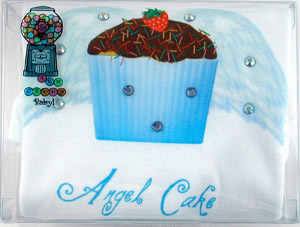 All items are 100% combed cotton and embellished with Swarovski crystals. Made in USA and packaged in clear candy box.